Ada pertanyaan untuk Quest Bendigo Central Hotel? Dirancang untuk wisata bisnis dan plesiran, Quest Bendigo Central Hotel terletak strategis di Bendigo Timur, salah satu daerah lokal paling terkenal. Dari sini, para tamu dapat menikmati akses mudah ke semua hal yang dapat ditemukan di sebuah kota yang aktif ini. Sebagai sebuah tempat untuk beristirahat dan bersantai, hotel ini terletak hanya beberapa langkah dari berbagai obyek wisata kota ini seperti St Kilian's Church, Museum Golden Dragon, Yi Yuan Gardens. Quest Bendigo Central Hotel menawarkan pelayanan sempurna dan segala fasilitas penting untuk memanjakan para wisatawan. Ketika menginap di properti yang luar biasa ini, para tamu dapat menikmati WiFi gratis di semua kamar, layanan kebersihan harian, fasilitas untuk tamu dengan kebutuhan khusus, penyimpanan barang, Wi-fi di tempat umum. Masuki salah satu dari 60 kamar yang menggoda ini dan lepaskan rasa penat Anda dengan sejumlah fasilitas yang tersedia seperti televisi layar datar, akses internet - WiFi, akses internet WiFi (gratis), kamar bebas asap rokok, AC. Hotel ini menyediakan sejumlah fasilitas rekreasi seperti kolam renang luar ruangan, taman. 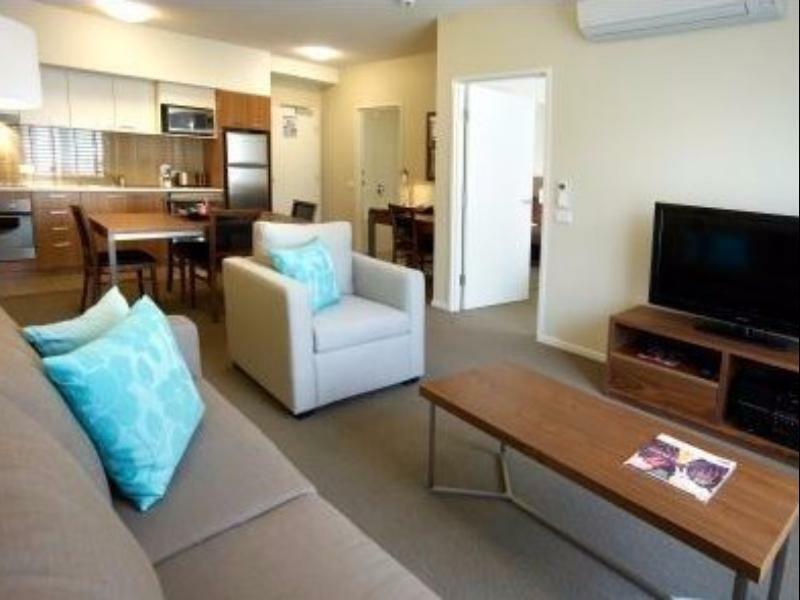 Dengan lokasi dan fasilitas ideal yang setara, Quest Bendigo Central Hotel dapat memenuhi berbagai macam hal. Parkir gratis tersedia di properti. Namun, perlu diketahui bahwa tempat parkir terbatas dan tidak dijamin. Tempat parkir lainnya tersedia dengan jarak 1 menit berjalan kaki. Found cleanliness of kitchen / dining not thorough. Dissappointed the pool was not open particularly with hot weather. Stay spoiled and complaint left on answering machine ignored. 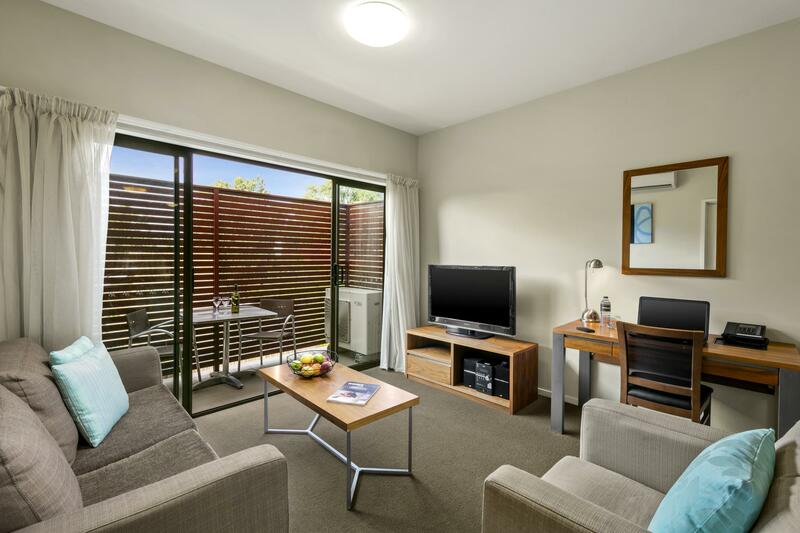 In a great location, which is very central to Bendigo's main attractions and shopping precincts, however, our 3 Bedroom Apartment was very underwhelming. It looked really tired and the carpet was stained and shabby. The toilet seat fell off in the family bathroom and a sink tap came off in my daughter's hand in the same bathroom. We still paid full price for our apartment and received no compensation, which is appalling, considering there were six of us sharing one toilet and bathroom sink for three days. 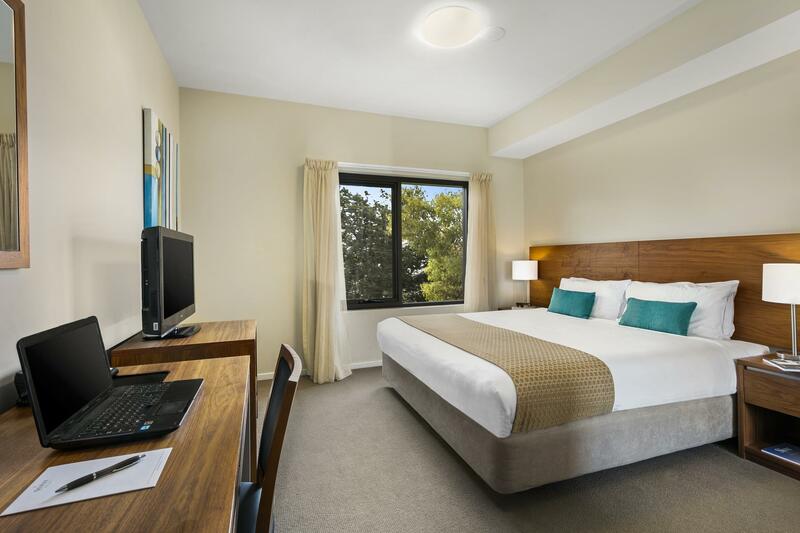 The rooms need upgrading urgently, especially since there is so much competition in the Bendigo region, specifically Airbnb, which for us, offers better value and a higher standard of accommodation for the same price point. The old zipper king bed strikes again ! Staff were really friendly and approachable. The room was modern, great size and very clean. Excellent location for travellers on foot and public transport We use our free seniors train pass and it was perfectly located with a bus outside the door to town and the station How,ever only a short walk tO cbd and short- Er to the lake and a great hotel for dinner Very well equipped kitchen . Good location, close to everything. 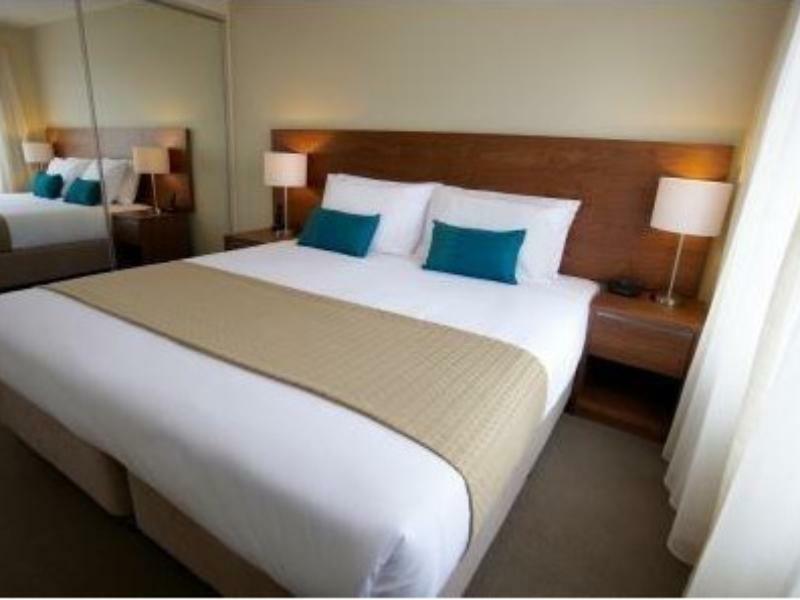 Pro's Just down the road from the town centre Staff were very polite Rooms are spacious and very clean Pool area was clean Sufficient parking Security gated in the evenings for safety. Con's Pool is small No banana lounges by the pool All in all a great place to stay, would certainly go back! Studio apartment at the Quest was very comfortable, clean and spacious. Great value for money and staff were very friendly and efficient service at check-in. Would highly recommend for anyone staying at Bendigo. Only complaint was the amount of parking available for guests which isn't sufficient. We had a motor bike and had to park on side walk infront of reception as not sufficient parking for guests. Apparentely if you miss out and no parking available on property you have to park outside on street just behind hotel which isn't appropriate when you are staying there. All good, except lack of onsite car parking was a problem. We had to park our car on a nearby street which didn't matter too much in our case but there had been no mention of lack of car parking when we made our booking. Staff very pleasant. Reception open until 10.30 pm. Centrally located with excellent security. Very enjoyable.We only stayed for one night but will be recommending to our friends based on our experience. 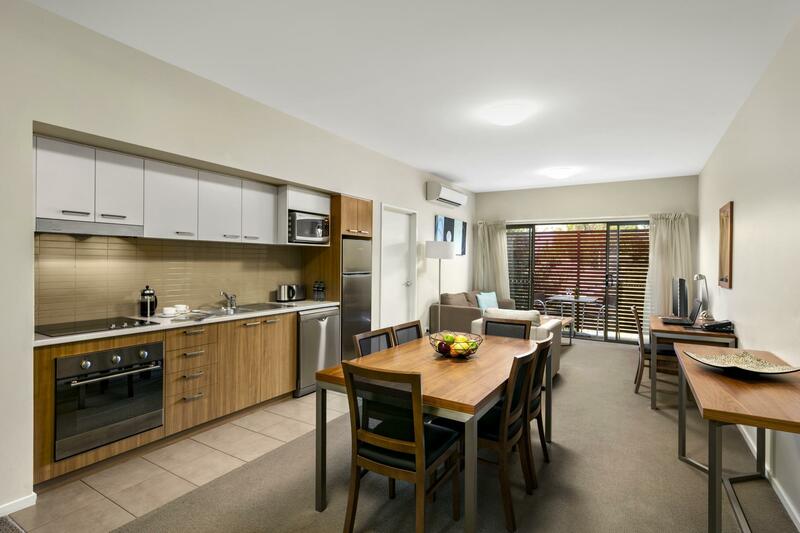 Spacious apartment, friendly reception staff, comfortable beds. We stayed overnight in a two bedroom apartment. Apartment was spacious and clean. Easy check in and out, staff were friendly and efficient. My family had a great stay at Quest. The room was very clean and modern. The bed and linen a highlight for a good might sleep. Although there are a lot of rooms, the hotel was very quiet. The only downside was the lack of car parks available. stayed on the the week of opening, all new and very quite. 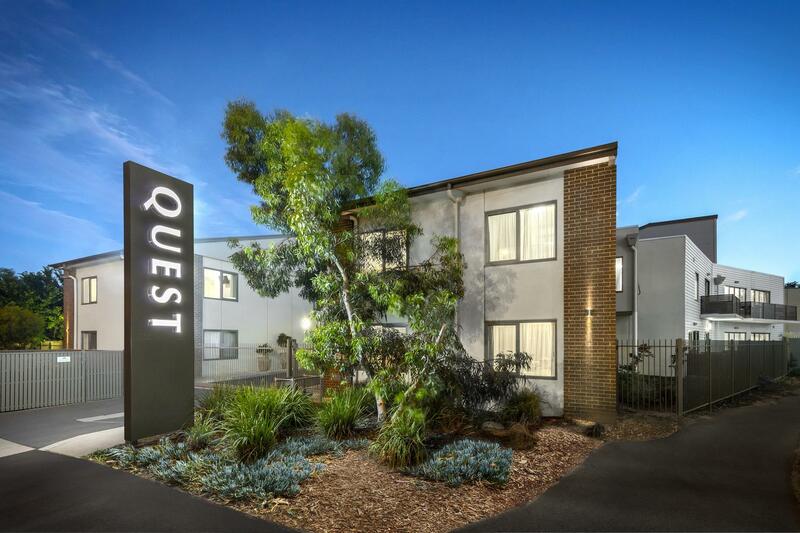 great location as you can walk to the main central in 5 minutes. service with a smile. will stay there again.